This week we're starting off with more new installation photos! 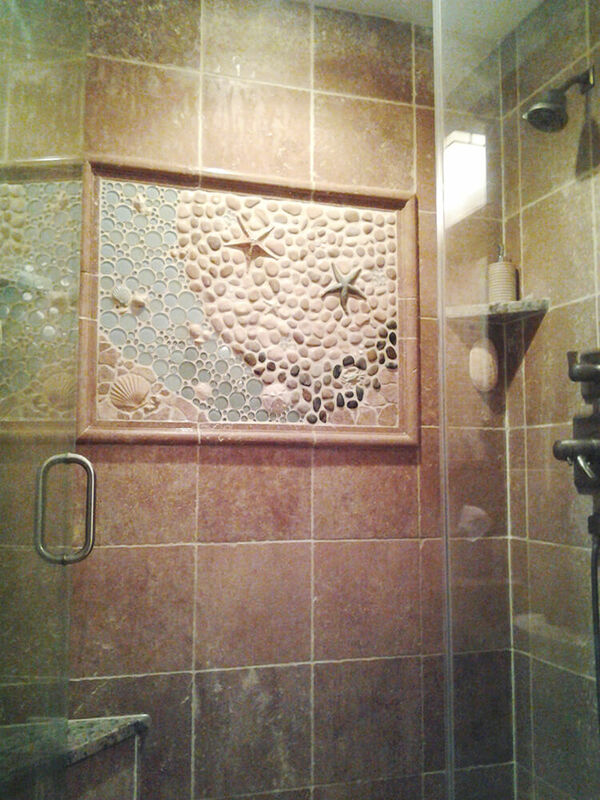 This vertical mural was made using various stones, colored glass, and our friend-pieces such as the Large Starfish, Large Flip Flops, Baby Turtles, and more! 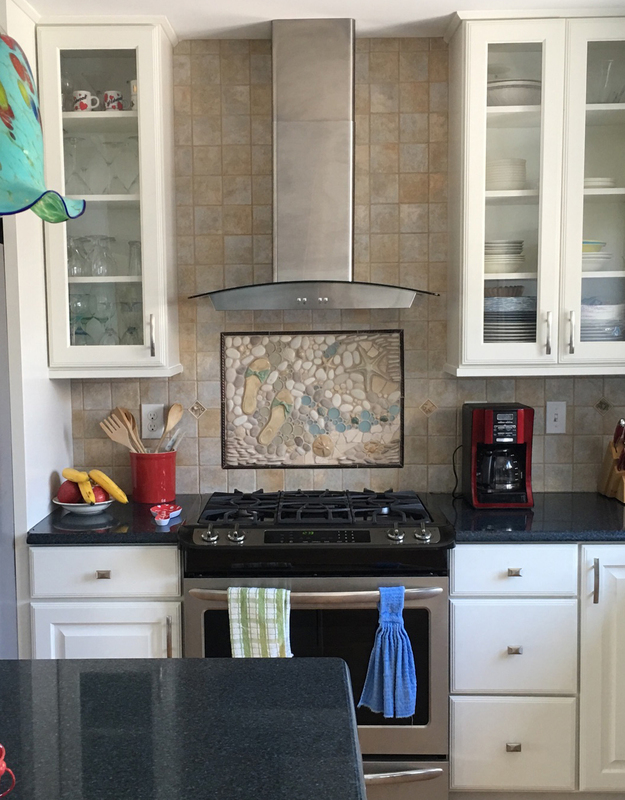 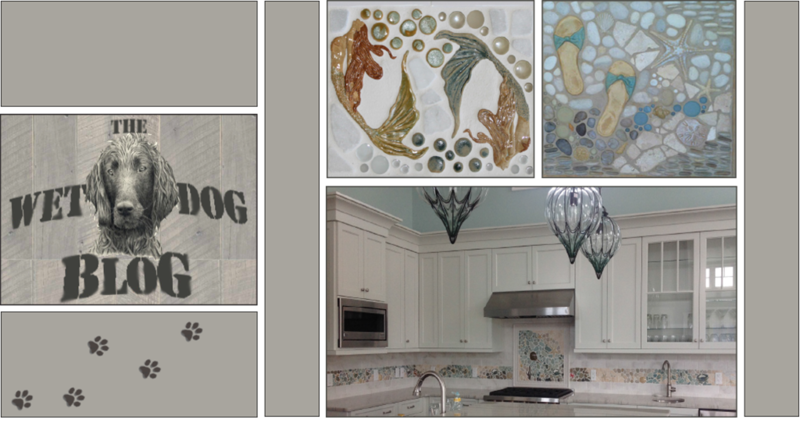 This backsplash mural was made using similar pieces as the one above but has a totally different feel! 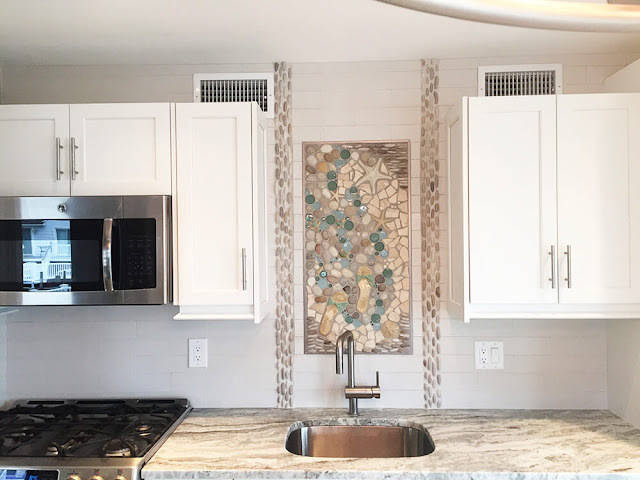 The photos below are new additions taken from the Bathroom Inspiration Gallery - visit our website to see more new Bathroom installation photos that aren't putting on the blog!